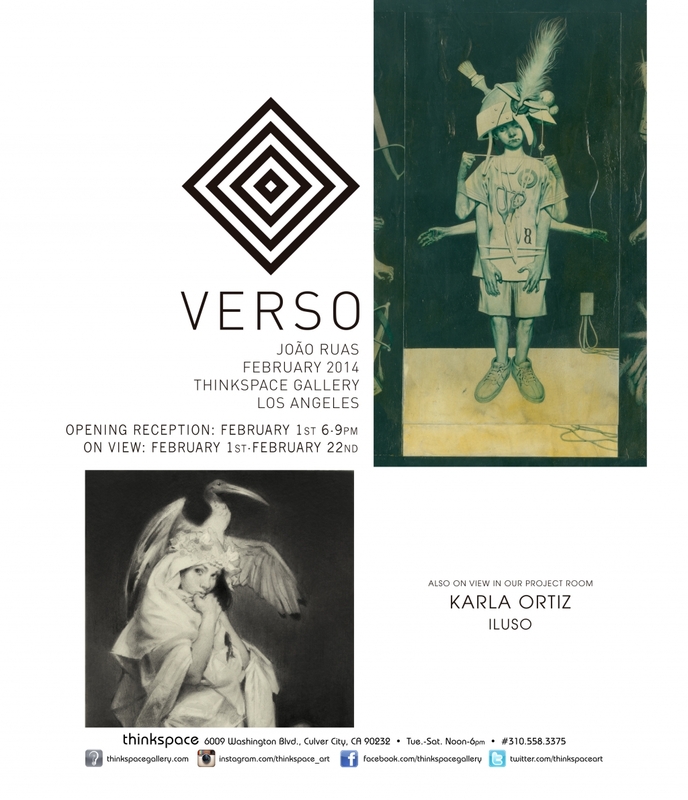 Thinkspace is pleased to present VERSO, featuring new works by Brazilian artist Joao Ruas. Ruas’ powerful imagery is distilled from a contemporary re-articulation of pan-cultural myth, and a keen sense of popular culture. The artist creates haunting imagery that seeks to excavate the timeless nature of conflict and human longing, vicissitudes that define our personal and cultural landscapes. By using the visual as a means to explore the themes that bind the human condition, Ruas draws from a shared tradition that relies on the expression of fantasy and mythos as a means of dealing with the spiritual and existential contentions of the human psyche. His works deftly combine allegory and psychological symbolism, resulting in highly saturated and stylized tableaux that convey the power of idealism and its resulting devastations – the inevitable coexistence of cruelty and beauty. Ruas’ works are highly detailed and beautifully rendered, owing to his background as a consummate illustrator. Working with drawing media, gouache and watercolor, the artist’s approach to his imagery is intuitive and dynamic; as though the materials themselves were living entities with impulses of their own, the pieces seem to breathe with a spectral autonomy. The uncanny quality of this artist’s work comes from its exquisitely beautiful execution, and the pathos of its themes. Shadowy worlds and apparitional figures host his surfaces with enigmatic narratives. Ruas perfects the coexistence of powerful polarities: beauty is inextricably bound to pain, idealism is couched in the grotesque, and whimsy teeters on the cusp of violence. The artist’s penchant for the thematically ancient is superimposed against an uneasy contemporaneity. This powerful dissonance in Ruas‘ work is ever present, resulting in a beautiful, historically ambiguous, tension. While the work is unmistakably contemporary, it wields an aura of agelessness and completes a surreal haunting in its combination of the sacred and the profane – the irresolutions of the new and the persistence of the old. VERSO will showcase fifteen new works by the Sao Paulo based artist, including his largest work to date. The artist will incorporate video and new media presentations of his new work, extending the scope of his practice for this phenomenal exhibition. 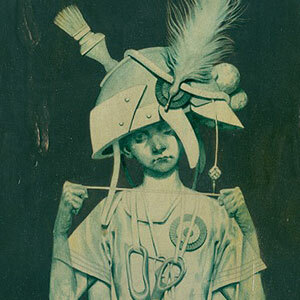 Joao Ruas will be in attendance for the opening reception on February 1st, from 6-9 pm. “The nature of conflict is the nature of everything. In the search for a high standard of idealistic morals, humanity will try and try to subjugate the hard reality.